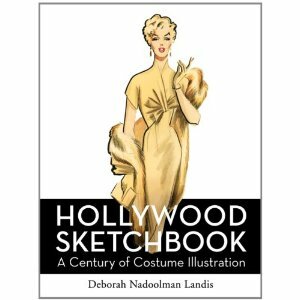 It was back to Westwood tonight for another marvelous evening in UCLA's Mitchell Leisen series, "That Signature Style." 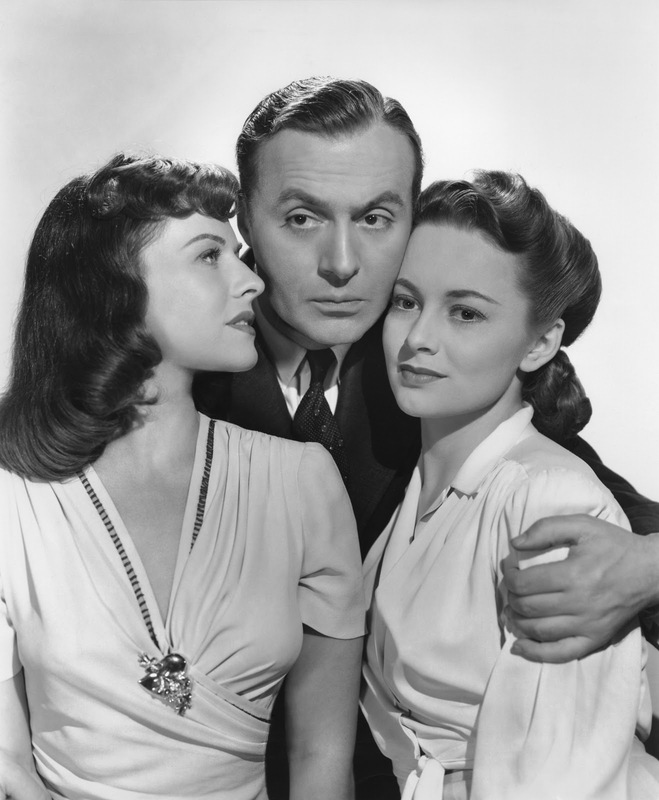 Tonight was a particular treat, 35mm prints of HOLD BACK THE DAWN (1941), starring Olivia de Havilland, Charles Boyer, and Paulette Goddard, and SWING HIGH, SWING LOW (1937) starring Carole Lombard and Fred MacMurray. With those casts, entertainment is pretty much guaranteed. 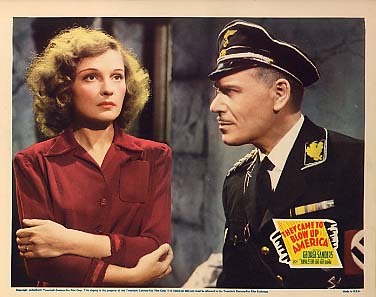 I had only seen HOLD BACK THE DAWN once before, when it was briefly available on YouTube; like many Paramount films of the early '40s, it's not out on DVD and is very difficult to see, so it was a real thrill to see it in a lovely print on a huge screen. An extra-special treat this evening was the presence of Olivia de Havilland's daughter Gisele in the audience. I've been privileged to watch films this year with the children of Spencer Tracy, Alan Ladd, Macdonald Carey, and Geraldine Fitzgerald in the audience; I always wonder what it must be like to watch one's parent "alive" on screen decades ago. Happily, Olivia de Havilland is still very much with us and at last report in excellent health at age 96. Watching HOLD BACK THE DAWN for the second time, my impressions were much the same as the first viewing -- a lovely, surprisingly undated film with an exquisite performance by de Havilland. I rather think that Rosemary DeCamp merited a Supporting Actress nomination for her role as an Austrian refugee in HOLD BACK THE DAWN; she creates an indelible impression in just a few scenes, and while the role may seem deceptively simple, if one watches other DeCamp films, her unique ability to believably convey a variety of accents and ages is much more apparent. Watching DANGER SIGNAL (1945), PRIDE OF THE MARINES (1945), FROM THIS DAY FORWARD (1946), and NORA PRENTISS (1947), along with HOLD BACK THE DAWN, gives an excellent overview of her range and remarkable talent. DeCamp's warm, glowing performance adds much to HOLD BACK THE DAWN. Leisen biographer David Chierichetti returned to UCLA this evening and provided an introduction. He said this was the first theatrical screening of SWING HIGH, SWING LOW in Los Angeles since its initial release in 1937. 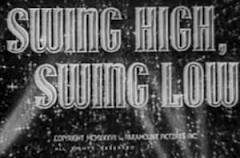 SWING HIGH, SWING LOW was a remake of THE DANCE OF LIFE (1929), which was in turn based on the 1927 Broadway show BURLESQUE, starring Barbara Stanwyck. Chierichetti explained that when Paramount sold the rights to Fox for the Betty Grable-Dan Dailey remake WHEN MY BABY SMILES AT ME (1948), Paramount even sent Fox its print of the original film, which was not preserved. Eventually the Library of Congress was able to reconstruct the film, with missing scenes provided from Leisen's personal print. I found SWING HIGH, SWING LOW an entertaining, if imperfect, film with a weak final act; the marvelous cast goes a long way toward making up for the film's flaws. The cast combines with the film's distinctive visual and musical styles to leave a strong impression. 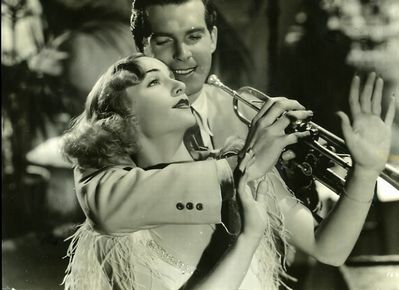 Maggie (Lombard) is stranded in Panama City and takes up residence with Skip (MacMurray), a trumpet player recently discharged from the U.S. army, and his friend Harry (Charles Butterworth), a pianist. The trio work in a nightclub where Skip and Maggie are a great success performing numbers such as "A Call to Arms." Skip and Maggie marry but their marriage is nearly defeated by a combination of his irresponsibility and the machinations of Anita (Dorothy Lamour), who wants Skip for herself. The leads are very appealing, and it's to MacMurray's credit that his character remains likeable even when he's a jerk. The film's biggest flaw is its wrap-up; MacMurray's Skip is so devil-may-care that when he becomes a success in New York he doesn't bother to write his wife, let alone send for her -- yet conversely when she leaves him he is utterly destroyed. The 92-minute film wraps up a little too patly, given the amount of sturm and drang which precedes the ending, but despite the film's downer final section and the unanswered questions left by the ending, the film is still very enjoyable. Typically for a Leisen film, the set design is excellent, including a quirky Panama City apartment (complete with a hen named Butch), a bar with a streetfront roll-up entrance, and an Art Deco nightclub. The music is somewhat unusual and atmospheric, with numbers like "A Call to Arms" are memorably staged; Lombard did her own singing, as recounted at Carole & Co.
Jean Dixon plays Maggie's friend Ella. Dixon is one of those '30s supporting actresses, like Ruth Donnelly and Helen Broderick, who makes any film better. Sadly she left films after her excellent role in HOLIDAY (1938). One of the pleasures of a film of this era is spotting the up-and-coming faces which unexpectedly turn up. Anthony Quinn is easy to find in an early role as a Spanish-speaking bar patron who tries to pick up Maggie, but I was also tickled to discover Lee Bowman in a bit part as a tuxedoed nightclub-goer. 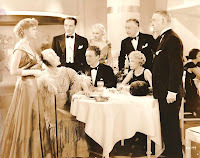 Dennis O'Keefe appears as a purser in one of his many '30s bit parts. O'Keefe had over 150 credits as a background extra or bit player before finally breaking into leading roles in MGM "B" films like THE BAD MAN OF BRIMSTONE (1937) and HOLD THAT KISS (1937). THE LEOPARD MAN (1943) and his leading roles in various film noir titles were still a few years away when this film was made. The supporting cast also includes Franklin Pangborn, Harvey Stephens, Cecil Cunningham, Charles Arnt, and Charles Judels. 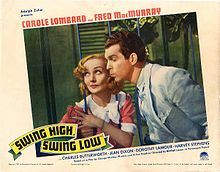 SWING HIGH, SWING LOW has been shown in the past on Turner Classic Movies. It is also available for free streaming to members of Amazon Prime. The film seems to have fallen into the public domain, with numerous DVD and VHS releases which have a reputation for being poor quality; IMDb also indicates that a 2005 DVD release was 10 minutes too short. Mitchell Leisen: That Signature Style continues Sunday evening at UCLA with NO MAN OF HER OWN (1950) and THE MATING SEASON (1951). Toby had some great news to share today at 50 Westerns From the 50s: Turner Classic Movies has announced a 5-film boxed set of '50s Universal Westerns, titled Western Horizons. Needless to say, this is exciting news for those of us who love Universal Westerns! 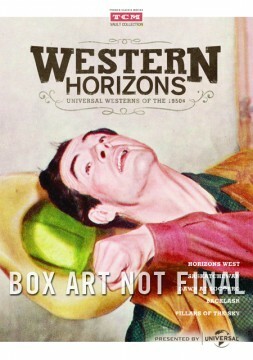 HORIZONS WEST (1952), which I reviewed in 2010, starring Rock Hudson, Robert Ryan, and Julie Adams, directed by Budd Boetticher. SASKATCHEWAN (1954) with Alan Ladd and Shelley Winters, directed by Raoul Walsh. BACKLASH (1956), briefly reviewed by me in 2007, starring Richard Widmark and Donna Reed, directed by John Sturges. PILLARS OF THE SKY (1956) with Jeff Chandler, Dorothy Malone, Ward Bond and Lee Marvin, directed by George Marshall. All five films have been remastered. Extras will include an introduction by Robert Osborne, stills (including UK stills) and posters. Although I wouldn't class either HORIZONS WEST or BACKLASH as particular favorites, the actors starring in those films certainly are, and I love the actors in the new-to-me films as well. I'm excited about the opportunity to see them for the first time in nice-looking new prints. I'm also hoping this means that there will be future volumes of Universal Western collections from the TCM Vault! I do hope TCM will reconsider the cover art, though...there are so many other more attractive possibilities. The tentative box art is seen at the upper left of this post. 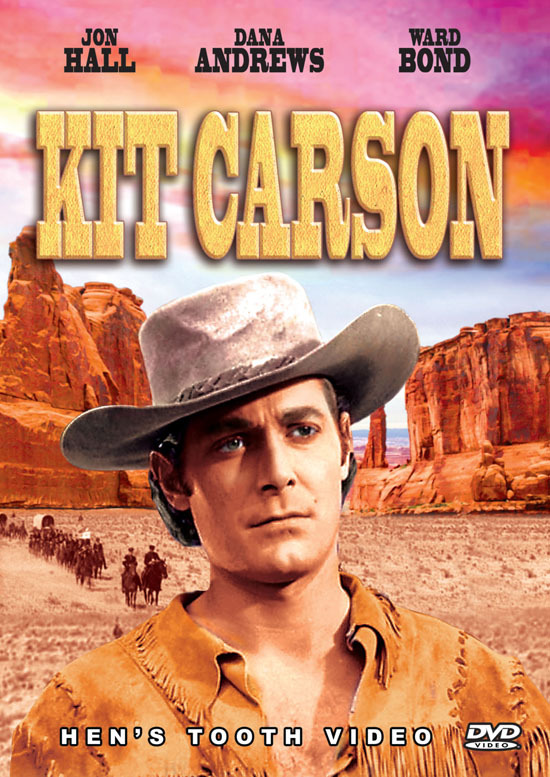 More good Western news today comes from ClassicFlix: KIT CARSON (1940), which has long been on my wish list, will be out from Hen's Tooth Video on January 29th. KIT CARSON was a United Artists release starring Jon Hall, Dana Andrews, Lynn Bari, and Ward Bond. With a cast like that, it should be fun. It was directed by George B. Seitz, who worked on many "B" films at MGM, including the ANDY HARDY series. Sometimes there's just nothing more relaxing at the end of a busy day than a Western. 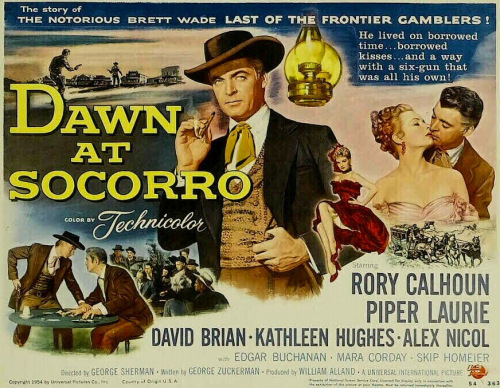 Throw in John Payne and Dan Duryea, plus Rex Allen singing the title song, and you've got yourself a movie! RAILS INTO LARAMIE is quite a good standard-issue '50s Western, alternating witty dialogue, some well-done action sequences, and an interesting twist or two in its fast-paced 80 minutes. It also has the bonus of being a Universal Western, with beautiful Technicolor opening credits and a typically deep Universal cast. I enjoyed it very much. Jefferson Harder (John Payne) is a bullheaded, tough Army sergeant assigned to a special detail in Laramie. His mission is to find out what's behind lack of progress on the railroad in the area and push it towards completion. 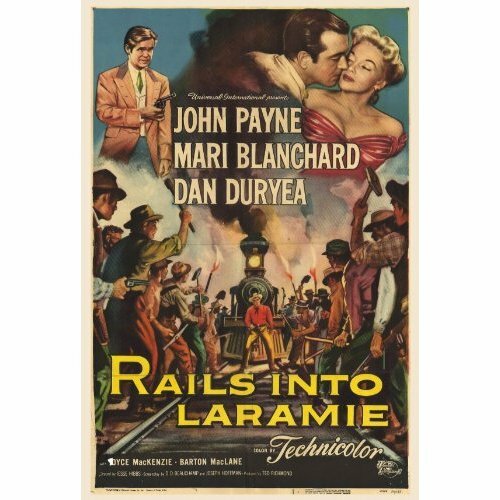 When Jeff arrives in Laramie he discovers an old friend, Jim Shanessy (Dan Duryea), owns the hotel and saloon and has financial reasons for not wanting the railroad to be completed. Jim tries to buy Jeff off, to no avail, and the battle lines are drawn between town tamer and town boss. 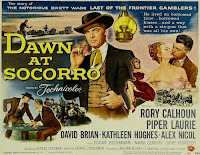 Lou (Mari Blanchard), Jim's partner in the saloon, is disturbed by her partner's tactics and quietly sets out to help Jeff. Payne is given some very good quips, making his character sort of a cross between a hard-edged sarcastic noir type character and a more lighthearted James Garner type. 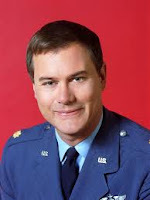 When a nervous hotel clerk (Hal K. Dawson) asks the unorthodox Jeff why he's not in Army uniform, Jeff laconically replies "I deserted," then marches off to do his job. My favorite moment was when Jeff tells the Doc (Roy Butler) to take a body to the undertaker, and then tosses off the line "And tell him to stay open!" 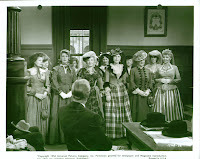 The plot includes an interesting twist making use of laws guaranteeing women's equality in 1860s Wyoming, an angle also explored in Loretta Young's THE LADY FROM CHEYENNE (1941). In this case the men of the town are so cowed by Duryea and his goons that they won't convict them of any crimes. 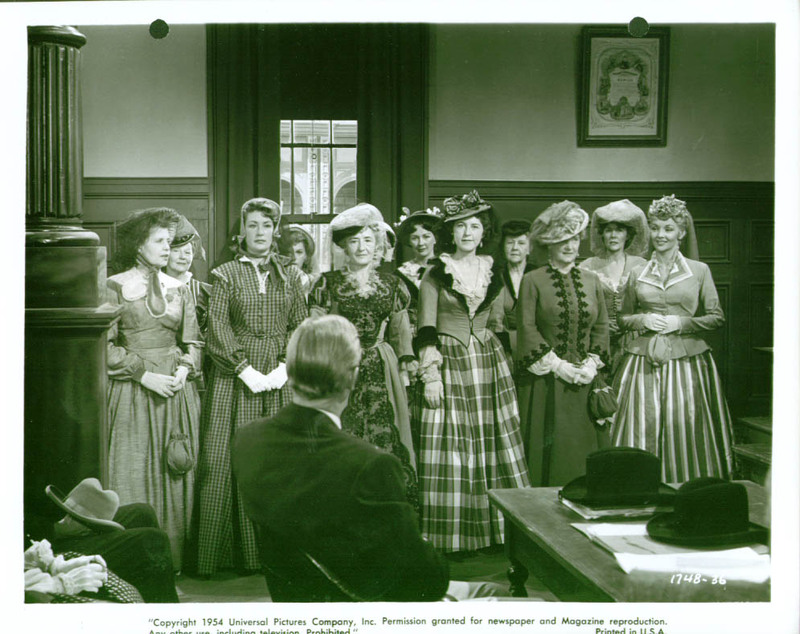 But when the brave ladies of the town insist on serving as jurors, the outcome is quite different. 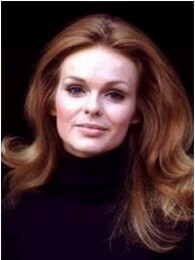 The large cast includes Joyce MacKenzie (DESTINATION MURDER) as Jim's devious, devoted wife and Lee Van Cleef as one of his trigger-happy henchmen. There's a very nice performance by James Griffith as the town marshal, who serves as Jeff's nervous yet loyal right-hand man. Griffith had over 200 credits between 1948 and 1984. Another actor with an even longer list of credits, George Chandler, plays one of the cowardly townsmen. 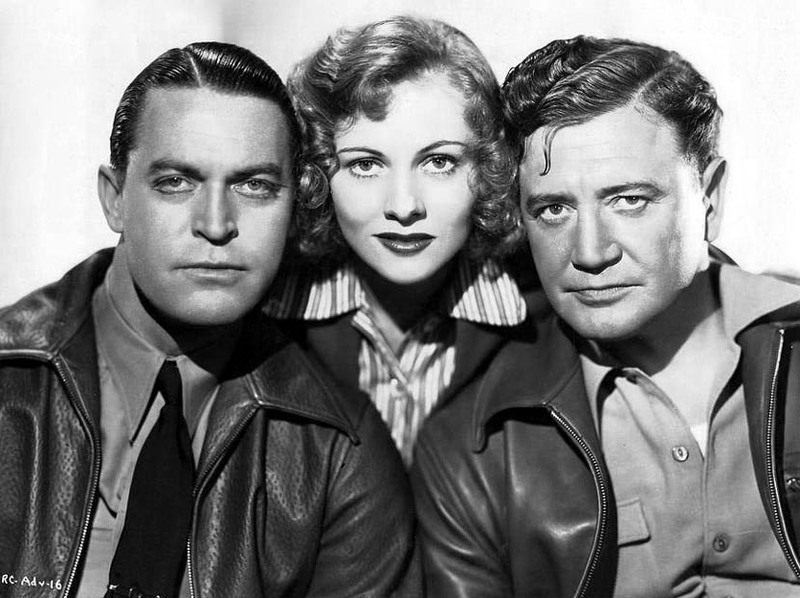 Other actors in the film with scores of credits to their names include Myron Healey, Douglas Kennedy, and Harry Shannon. Mari Blanchard was born in nearby Long Beach, California, in 1923. According to her biography at IMDb, she studied international law at the University of Southern California, but instead became a model and actress. 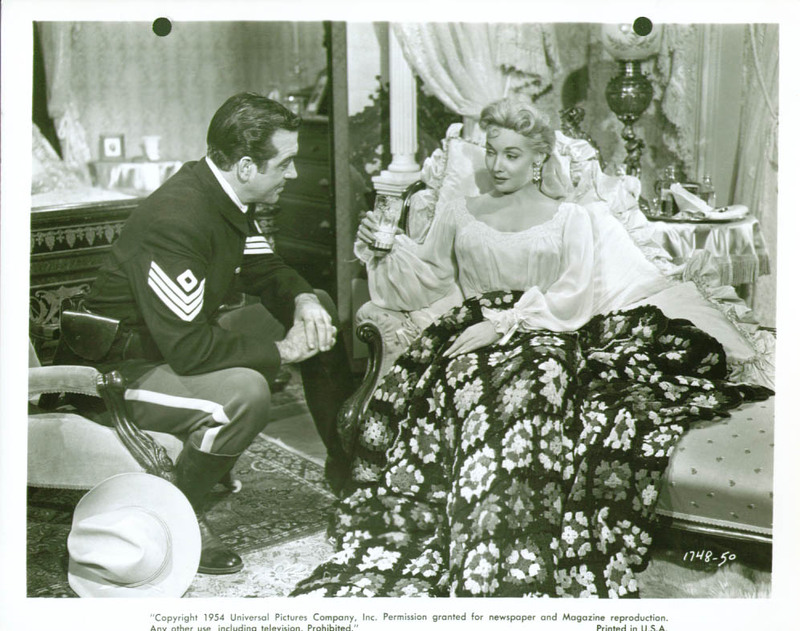 Her film credits included two other 1954 films opposite great Western stars: BLACK HORSE CANYON with Joel McCrea and DESTRY opposite Audie Murphy. Her final film was John Wayne's MCLINTOCK! (1963). Sadly she was just 47 when she died of cancer in 1970. 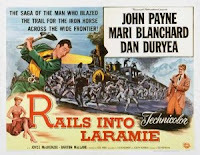 RAILS INTO LARAMIE was directed by Jesse Hibbs. The screenwriters included D.D. Beauchamp and the uncredited Borden Chase, both of whom worked on many good Westerns over the years. 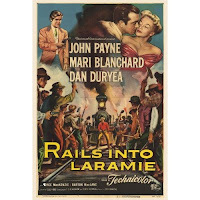 RAILS INTO LARAMIE is currently in the movie rotation at Encore Westerns Channel, where it will be shown again this week, on November 28th, as well as next January 17th. 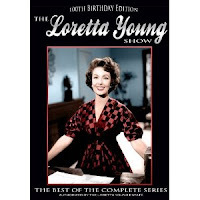 ...Coming in February 2013, in celebration of Loretta Young's centennial: the LORETTA YOUNG SHOW 100TH BIRTHDAY EDITION: THE BEST OF THE COMPLETE SERIES. The set from Shout! Factory is a whopping 17 discs. It includes home movies, as well as interviews with Loretta's family and some who worked on the show. ...Last Wednesday, November 21st, was the centennial of the birth of dancer-actress Eleanor Powell. Here's a post from last year by Kay at Move Star Makeover. She references Jeanine Basinger's THE STAR MACHINE which goes into detail about the makeover MGM gave Powell as they groomed her for stardom. ...New book: HOLLYWOOD SKETCHBOOK: A CENTURY OF COSTUME ILLUSTRATION by Deborah Nadoolman Landis. ...Also new: David Thomson's THE BIG SCREEN: THE STORY OF THE MOVIES. I've enjoyed some of Thomson's other books and expect it to be a worthwhile read. ...Here's a sobering article from the Atlantic, shared via Twitter by Toby of 50 Westerns From the 50s: "With 35mm Film Dead, Will Classic Movies Ever Look the Same Again?" ...Turner Classic Movies has announced it will run Johnny Carson interviews with actors beginning in the summer of 2013. A promo video is on the TCM website. ...Dana Andrews biographer Carl Rollyson will visit the Silver Screen Oasis for an interview the weekend of December 8th. 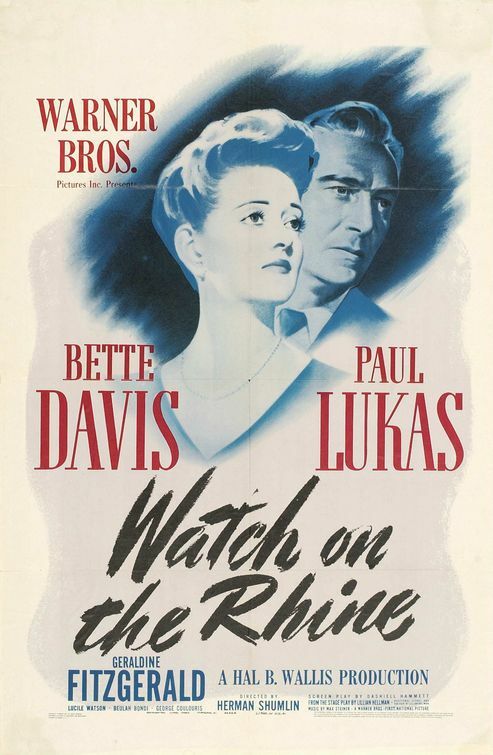 ...I enjoyed Paul's review of WATCH ON THE RHINE (1943) at Lasso the Movies. Looking forward to catching up with that one at some point. ...Attention Southern Californians: After taking Thanksgiving weekend off, the Mitchell Leisen series resumes at UCLA next weekend, with screenings of HOLD BACK THE DAWN (1941), SWING HIGH, SWING LOW (1937), NO MAN OF HER OWN (1950), and THE MATING SEASON (1951). The first three titles will be shown in 35mm and THE MATING SEASON screens in 16mm. Be there if you can! ...LES MISERABLES (2012) had its first screenings in New York, Los Angeles, and Sydney over this long weekend. It sounds as though it was a big success. ...My daughter made this Gingerbread Man recipe for Thanksgiving. The cookies turned out great! 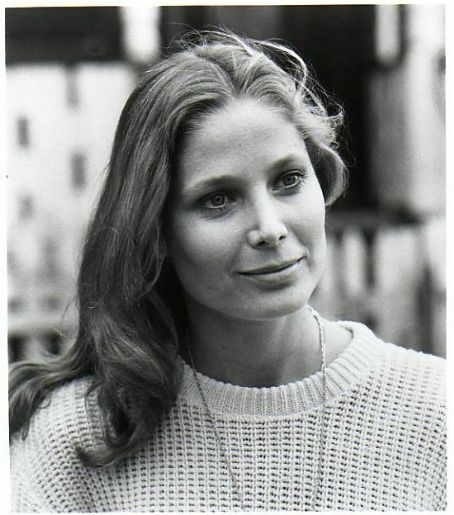 ...Notable Passings: Actress Deborah Raffin has passed on on at the age of 59. Raffin, whose TV credits included HAYWIRE (1980) and NOBLE HOUSE (1988), was also a cofounder of Dove audiobooks. She was the daughter of '40s Fox actress Trudy Marshall...Connie Wald, the widow of producer Jerry Wald and a longtime fixture on the Hollywood social scene, has died at 96...Singer David Allyn, whose album of Jerome Kern standards is one of my all-time favorite records, has passed away at 93. Have a listen to his version of "The Folks Who Live on the Hill." You won't be sorry. I watched NIGHTMARE ALLEY for the first time today and found it a real "wow" experience. While I wouldn't precisely say I loved it -- it was too dark for that -- I was intrigued and impressed by a compelling film. The movie was so very different that I'm still mulling it over and processing my reactions to it a few hours later. That kind of thought-provoking impact strikes me as one of the marks of a good film. Tyrone Power shows he was much more than a handsome face, playing an ambitious carnival worker, Stan, who ultimately becomes a top attraction as a "mentalist" in Chicago nightclubs, only to plunge to the depths of destruction; longtime guilt over his role in the death of another carnival employee (Ian Keith) combined with a failed plot to bilk a multimillionaire send him over the edge into an alcoholic nightmare. I don't know what magic makeup artist Ben Nye worked, but by the final scenes even Stan's eyes have changed, to the point that his former coworkers no longer recognize him; combined with Power's acting, the effect is stunning. One of the interesting things about the film is that although Stan is a user and grifter, the viewer can't help feeling a certain sympathy for him, particularly in the final scenes. The grungy carnival atmosphere is quite unique for a '40s film, focusing on low types who basically drink and/or cheat their way through life. 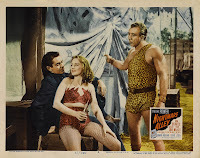 Stan being forced into a shotgun marriage with fellow carny Molly (Coleen Gray) was certainly different as well. There's a trio of wonderful actresses in NIGHTMARE ALLEY. 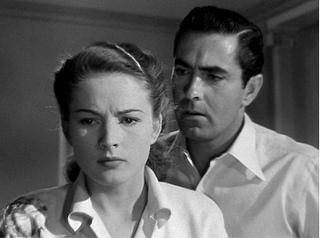 I've previously written of my admiration for Coleen Gray, and I thought she was wonderful in this as well, especially in the early carnival scenes. I was particularly struck by the natural way she moved in the scene which introduces her, swinging off the truck, grabbing her shoes, and drinking a soda pop. There's simply something a little unusual about her screen persona that's quite arresting. And speaking of unusual, what exactly was her relationship with the much older Bruno (Mike Mazurki), anyway? 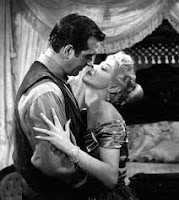 I particularly loved the scene where Molly says farewell to Stan at a train station, which strongly echoed her final scene in her previous film, KISS OF DEATH (1947). In each scene the leading man is sending her away in an attempt to save her from the fate each man knows will soon catch up with him. Both scenes are achingly romantic, and in the case of NIGHTMARE ALLEY this scene may be the only true indication that Stan really has deep feelings for Molly. Previously, he has used her repeatedly as the means to various ends. Joan Blondell plays the older woman who teaches Stan all he needs to be a successful entertainer, only to be thrown over for a younger partner, the lovely Molly. Blondell, long known as a comedienne, had a strong dramatic impact in a couple films of the mid to late '40s, including this film and her outstanding role as Aunt Sissy in A TREE GROWS IN BROOKLYN (1945). Helen Walker is marvelous as a psychologist who's even more devious than Stan. Her final scene, in which she tops shorting Stan of ill-gotten funds by convincing him he's going crazy, was quite brilliant. As he hears police sirens wail, she stares him straight in the eye and claims she doesn't hear them. Walker is simply terrific. Her later noir titles included IMPACT (1949) and THE BIG COMBO (1955), both excellent films. It's a shame her career was rather short, as she was a most interesting actress. 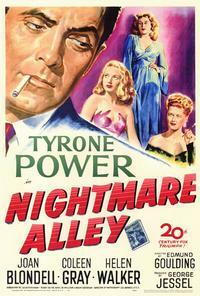 Edmund Goulding, who had recently directed Power in his first postwar film, THE RAZOR'S EDGE (1946), also directed NIGHTMARE ALLEY. The screenplay by Jules Furthman was based on a novel by William Gresham. The gritty, flat-looking photography was by the great Lee Garmes. The running time is 110 minutes. NIGHTMARE ALLEY is available on DVD as No. 6 in the Fox Film Noir series. Extras include a commentary track by Alain Silver and James Ursini. Update: A Visit With Coleen Gray and Laura's Miscellaneous Musings in the Dark Pages. 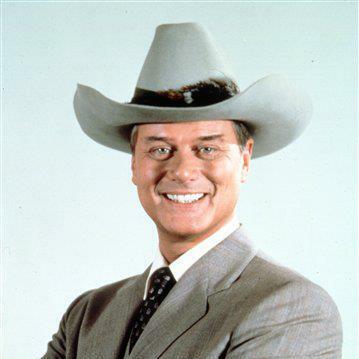 Actor Larry Hagman, TV's iconic J.R. Ewing, has passed away in Dallas at the age of 81. 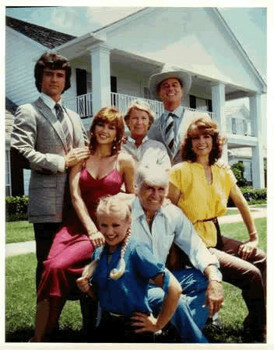 Hagman, the son of Broadway star Mary Martin, was the star of two popular TV series. He played Major Tony Nelson on I DREAM OF JEANNIE from 1965 to 1970. That show is one of my earliest TV memories. Hagman's JEANNIE costar, actress Barbara Eden, said "I can honestly say that we’ve lost not just a great actor, not just a television icon, but an element of pure Americana." JEANNIE was popular, but DALLAS, which began in 1978, was something else altogether. When his gleefully villainous J.R. was shot in "A House Divided" at the end of Season 3, it caused worldwide excitement of a kind not seen before or since. I happened to see J.R. shot by chance; I'd never watched DALLAS before, but I was babysitting that night and -- this being the era before cable TV -- there was literally nothing else on that night worth watching! Needless to say, I was immediately hooked, and rather amazed to learn that episode was the end of the season. Season-ending TV cliffhangers weren't the norm back in 1980. I was in college during the height of the long-running show's popularity, and as a matter of fact I even had a poster of the DALLAS cast photo seen here hanging in my dorm room. Hagman, back in Dallas for the sequel TV series which began airing this year, had been joined by his family for the Thanksgiving holiday, and they were with him when he passed on from cancer Friday afternoon. I found it quite touching that his longtime DALLAS costars, Linda Gray (Sue Ellen) and Patrick Duffy (Bobby), were also said to be at his bedside when he passed on; on screen ol' J.R. may have had plenty of battles with Sue Ellen and Bobby over the years, but behind the scenes the trio were close decades-long friends. Hagman's other credits include one of my favorite TV episodes of all time, "The Adventures of the Mad Tea Party" on ELLERY QUEEN in 1975. 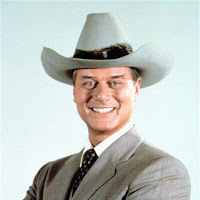 It's rather hard not to feel today that, with Hagman's death, it's the closing of an entire era of TV, but there are lots of good memories left behind for those of us who were there to enjoy it. THEY CAME TO BLOW UP AMERICA is an interesting WWII espionage film from 20th Century-Fox, now available on DVD thanks to the Fox Cinema Archives. I was sold on THEY CAME TO BLOW UP AMERICA as soon as I read it featured two of my all-time favorite actors, George Sanders and Ward Bond, teaming to battle the Nazis. Sanders plays an American secret agent posing as a Nazi sympathizer, with Bond as his FBI chief contact. Sanders goes to Germany, where he is trained by the Nazis in saboteur techniques, becomes involved with a lovely Austrian spy (Poldy Dur), and ultimately is assigned to a team of saboteurs arriving in New York via submarine. The film is loosely based on a true incident. With a 73-minute running time, this is a short but interesting little movie, filmed in beautiful black and white by Lucien Andriot. It's surprisingly light at times, which helps to break the tension, but those light moments can turn dark pretty quickly -- witness the fate of Frau Reiter (Anna Sten), who tries to expose Sanders to the Nazis as an imposter. I would have liked a hint of a resolution to Sanders' brief romance in the film, but otherwise it comes to a satisfying conclusion. Film noir fans will be amused to discover gravel-voiced Charles McGraw as one of the Germans. The cast also includes Ludwig Stossel, Else Janssen, Sig Ruman, Dennis Hoey, and Robert Barrat. Don't blink and the great character actor Arthur Space can be spotted as an FBI agent near the end of the movie. This is the third Fox Cinema Archives film I've watched, and as it happens they've all been variations on WWII spy and propaganda themes. 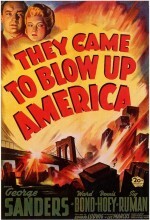 Like THE MAN I MARRIED (1940) and SECRET AGENT OF JAPAN (1942), THEY CAME TO BLOW UP AMERICA is a beautiful print. The films combine to help present a vivid picture of the important role movies played on the homefront during the war. Some more cynical modern-day viewers may have issues with such films; for instance, film historian Alan Rode, whom I greatly admire and respect, termed THEY CAME TO BLOW UP AMERICA "absurdly jingoistic" in his excellent biography of Charles McGraw. THEY CAME TO BLOW UP AMERICA is far from being the most sophisticated film of its type, but for my part, I admired the movie's brisk reinforcement of the dark goals of a nation which had declared war on the United States, while simultaneously the film was meant to inspire patriotism and confidence in our cause and ultimate victory. The movie was released in the heart of the war, when our nation's survival was far from guaranteed, so I strongly question whether jingoistic is the correct adjective for a morale-boosting film of this type. In any event, THEY CAME TO BLOW UP AMERICA is a film which can be enjoyed on multiple levels, as fast-paced "B" movie entertainment and as an interesting little slice of flag-waving wartime history. MAYDAY AT 40,000 FEET! is pure '70s kitsch, entertaining both despite and because of its '70s style. 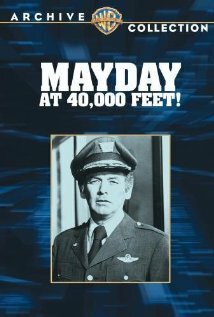 This TV-movie, in the tradition of other star-filled, hokey-yet-fun '70s aviation films such as AIRPORT (1970), SKYJACKED (1972), and AIRPORT 1975 (1974), can be seen on DVD thanks to the Warner Archive. 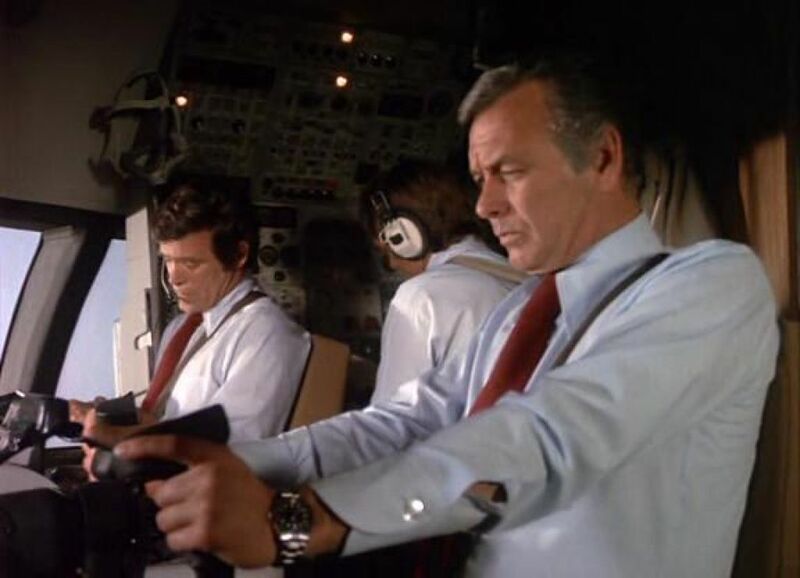 Captain Pete Douglass (David Janssen) and his copilot Stan Burkhart (Christopher George) are each feeling a bit distracted as they pilot a plane from L.A. to New York via Salt Lake City: back in New York, Pete's wife Kitty (Jane Powell) is unexpectedly undergoing surgery for a lump in her breast, and Stan has just reconnected with and proposed to his old flame Susan (Margaret Blye), who's on the plane as a passenger. Also on the plane is a psycho killer, played by Marjoe Gortner, who was also the psycho National Guardsman in EARTHQUAKE (1974). He's guarded by a marshal (Broderick Crawford) who makes the mistake of taking the flight despite feeling unwell and having left arm pain (hint, hint). No one watching is surprised when the killer gets loose and shoots up the airplane, seriously wounding Pete, Susan, and the plane's hydraulics system. Will copilot Stan and his engineer Mike (Don Meredith) be able to safely land the plane?! As with other films of its type, this 96-minute film is silly yet quite enjoyable, thanks in part to the interesting cast, which boasts not one but two Best Actor Oscar winners. Broderick Crawford's limited role as the worn-out marshal ends early on, but Ray Milland is in it for the long haul as a cranky, inebriated doctor turned hero. Jane Powell has roughly four scenes on the telephone or unconscious in surgery, which probably amounted to less than a day's work, but it's nonetheless great to see her acting in a mid '70s film. (I saw her with Howard Keel in SOUTH PACIFIC at the Pantages Theater roughly a year later.) Ditto Tom Drake, who plays an operations manager at LAX. Loved his presence in the cast, although he was saddled with a rather unfortunate helmet-style toupee; he should have emulated Ray Milland and done without! Don Meredith is quite enjoyable as the flight engineer, who proves he's more than a flyboy womanizer when the chips are down. Although his character is obnoxious early on, he ultimately turns out to be one of the more interesting characters. I loved the scenes showing how he manually cranks the landing gear into position. Lynda Day George, wife of Christopher, is one of the stewardesses, along with Shani Wallis (OLIVER!) and Christopher Norris. It's a sad side note that both lead actors playing the pilots died fairly young. David Janssen was just 48 when he died in 1980, and Chris George was 52 when he passed away in 1983. Don Meredith's gone now as well, having passed on in 2010 at the age of 72. Beyond the cast, it must be mentioned that some of the '70s set and costume designs are nearly blinding in their awfulness. Christopher George and Margaret Blye have a scene in a hotel room with yellow walls and a rather hideous TV set on a stand that's simply cringe inducing, and there are other similarly so-bad-they're-good visual moments. It's interesting how some past eras look different to the modern viewer, yet still attractive -- for instance, '40s hairstyles or the '50s bobbysoxer look -- but the '70s, well...not so much! This film was directed by Robert Butler. Butler also did a great deal of TV series work, including multiple episodes of quality programs such as THE WALTONS, REMINGTON STEELE, and HILL STREET BLUES. 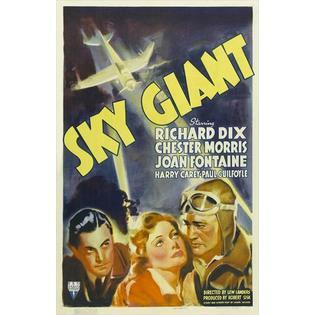 SKY GIANT is a solid RKO programmer about the aviation industry, performed by a good cast. SKY GIANT tells the tale of a pair of flyers, played by Richard Dix and Chester Morris, who work at TWA's flight school in Glendale, California. The men are friends but also romantic rivals for the hand of lovely young Joan Fontaine; at different points she agrees to marry each of the men. The romantic complications are resolved after the flyers, who have been mapping a new northern flying route, experience a prolonged ordeal in the Arctic which calls to mind the later film ISLAND IN THE SKY (1953). As a matter of fact, the entire movie has a familiar feel to it. The theme of pilots who are friendly rivals has been done many times, whether in "A" pictures such as the same year's TEST PILOT (1938) or in a "B" picture like POWER DIVE (1941). SKY GIANT drew inspiration from earlier movies and also helped lay the groundwork for later films of the genre. SKY GIANT was one of a string of RKO "B" films Joan Fontaine worked in throughout the late '30s, interrupted by a significant role as Fred Astaire's leading lady in A DAMSEL IN DISTRESS (1937). In 1939 she was the leading lady of George Stevens' GUNGA DIN and had a small but notable role in George Cukor's THE WOMEN. 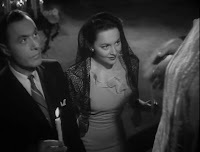 From that point on there was no looking back for Fontaine, with back to back roles in Hitchcock's REBECCA (1940) and SUSPICION (1941), not to mention a Best Actress Oscar for the latter film. Much of SKY GIANT was shot at Grand Central Airport in Glendale, California. 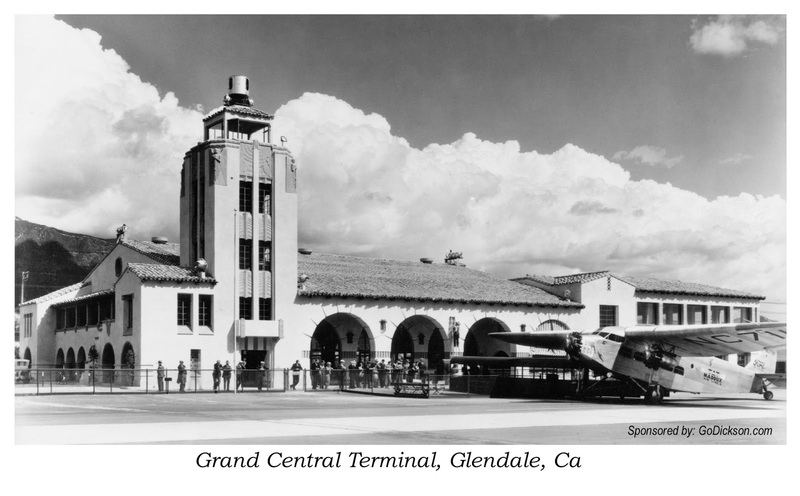 Grand Central Airport was a popular movie location of the era; for example, AIR HOSTESS (1933), reviewed here a couple of years ago, was filmed at the same airport. 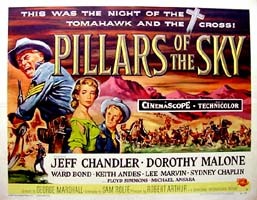 SKY GIANT was directed by Lew Landers. It was filmed by Nicholas Musuraca, who would go on to shoot RKO classics such as CAT PEOPLE (1942) and OUT OF THE PAST (1947). The supporting cast includes Harry Carey Sr. and Paul Guilfoyle. Vicki Lester, recently seen in another 1938 Fontaine film, MAID'S NIGHT OUT (1938), plays Carey's secretary. 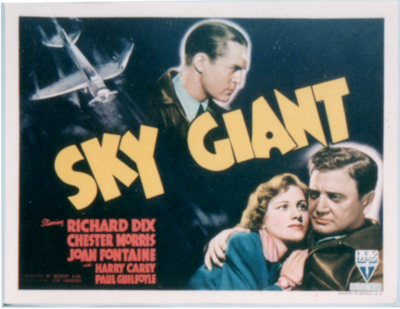 SKY GIANT has been shown on Turner Classic Movies. It is not currently available on VHS or DVD. Viewers such as myself who enjoy films with an aviation setting will likely find SKY GIANT a diverting 80 minutes. SHADOW OF DOUBT (1935) -- not to be confused with Hitchcock's classic SHADOW OF A DOUBT (1943) -- is a delightful little mystery with a good cast and a nice sense of humor. The many familiar faces make this movie a most enjoyable way for a classic film fan to spend 74 minutes. 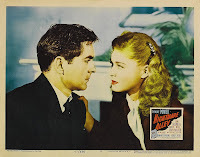 New York businessman Sim (Ricardo Cortez) wants to marry Hollywood actress Trenna (Virginia Bruce), but when he makes hamhanded comments about her career, she tells a no-good scoundrel named Haworth (Bradley Page) she'll marry him instead. One problem: Haworth is already engaged to Lisa Bellwood (Betty Furness). And then Haworth turns up dead, with Sim and Trenna each considered likely suspects by the police (led by Edward Brophy). Sim's wealthy Aunt Melissa (Constance Collier), who hasn't left her house in years, then teams up with her long-suffering butler and cribbage partner Morse (Ivan F. Simpson) and Sim's reporter friend Ryan (Regis Toomey) to find the real killer. This movie was a nice little surprise, well-plotted and acted by an amiable cast. Despite being a murder mystery, the movie is quite funny at times; my favorite moment was when the reclusive Melissa (Collier) decides to leave her home and calls for the car, to which her shocked butler replies "But Madam, the chauffeur's been dead for years!" The film provides a number of good roles for the supporting cast. This was the first sound film appearance by Constance Collier, playing the plucky Aunt Melissa, and she's terrific. Regis Toomey has an amusing role as Sim's enterprising reporter sidekick, whose girlfriend Inez (Isabel Jewell) sings in a great Art Deco nightclub. (Love the portholes!) Wonderful character actors like Brophy, Samuel S. Hinds, and Arthur Byron are scattered throughout the film and add considerably to its quality. The screenplay, from a story by Arthur Somers Roche, was by Wells Root. Root wrote many films of the '30s and '40s, with "B" titles mixed with "A" credits such as the adaptation for both versions of THE PRISONER OF ZENDA (1937). He would go on to a busy career writing for TV Westerns in the '50s, including MAVERICK, BAT MASTERSON, and CHEYENNE. SHADOW OF DOUBT was directed by MGM "B" unit director George B. Seitz. That same year Seitz directed Virginia Bruce in SOCIETY DOCTOR (1935) and TIMES SQUARE LADY (1935). 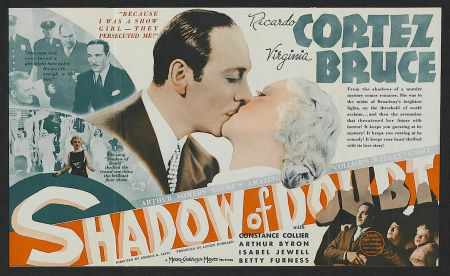 SHADOW OF DOUBT was recently shown on Turner Classic Movies. The trailer is at the TCM website. Hopefully this will be released by the Warner Archive at some point. Recommended as an enjoyable film. December 2012 Update: That didn't take long! SHADOW OF DOUBT has just been released on DVD-R by the Warner Archive. 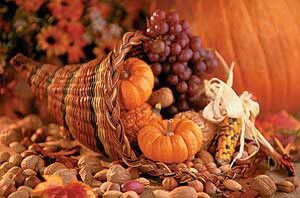 Best wishes to all for a very happy Thanksgiving Day! As always, I'm very grateful for many blessings, including everyone who regularly visits and supports this blog. Thank you, and have a wonderful day! 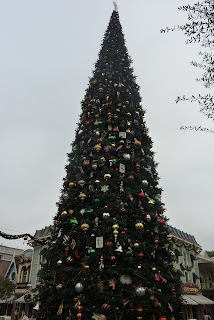 We began the long Thanksgiving weekend today by spending a few very enjoyable hours at Disneyland and Disney California Adventure. 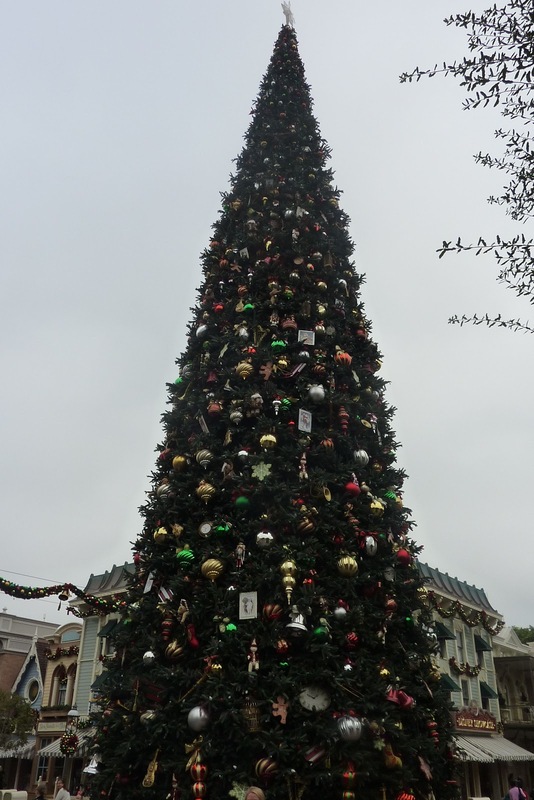 The lamps gave Main Street a cozy feel while it was overcast early this morning. Previous Thanksgiving Eve at Disneyland Posts: 2009, 2010, and 2011. 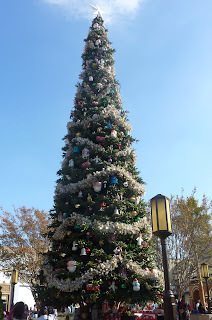 Other recent holiday posts: First Christmas on Buena Vista Street; Christmas in Cars Land.